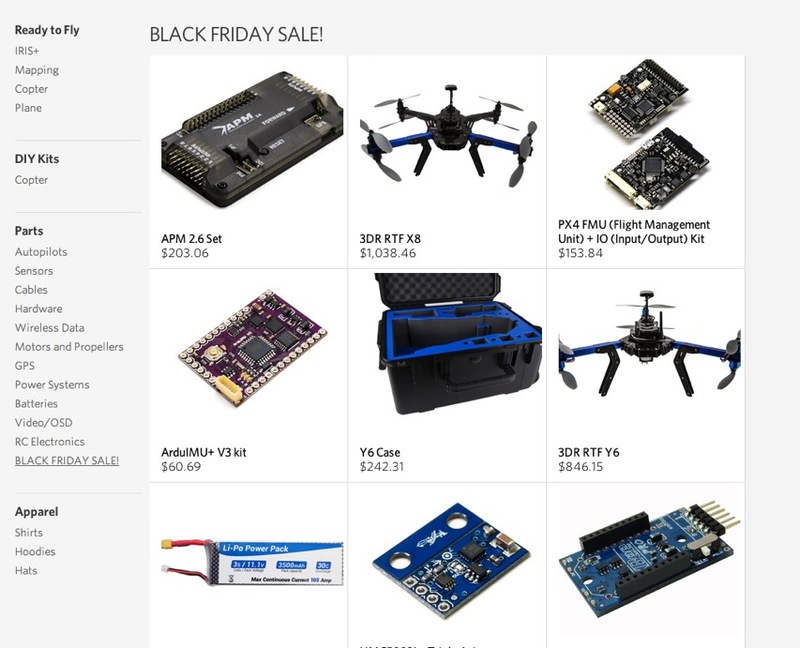 Black Friday deals for Makers – our picks #blackfriday #makerdeals « Adafruit Industries – Makers, hackers, artists, designers and engineers! We may have forgot a couple here and there so check back on this post for updates, we’ll do another post on monday too, we’ll also use the tag #makerdeals on twitter. This are in no order whatsoever, it’s just what we bookmarked in the last couple days. Post up your picks in the comments too, just don’t be spammy and make sure it’s something to do with the maker community. 15% off with code BLACK on selected products. We’re delighted to count you as part of our thriving community. As a small token of our appreciation, we’d like to extend a 30% discount off our entire online catalog (until we run out of stock!) beginning at 6:00am PST on Friday November 28th and ending at 11:00pm on Monday December 1st!. Just use the discount code “HOLIDAYCHEER” at checkout! 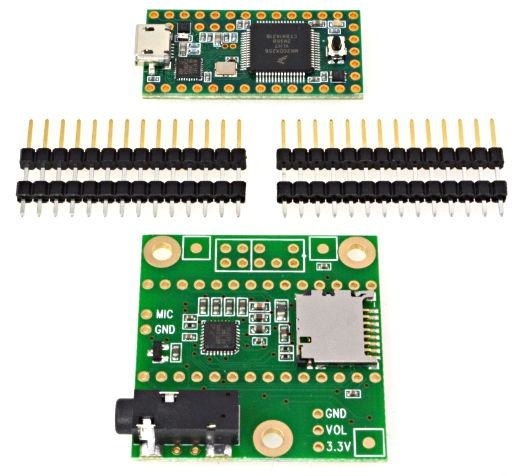 This special sale gives you the parts needed to make awesome sound, with the new Teensy Audio Library. The audio design tool lets you draw an audio system. The library runs your system while your Arduino sketch also runs and controls or responds to sound. The audio adaptor gives you high quality 16 bit stereo input and output to make great sounding projects. The time draws nigh. Discover your best savings in our Black Friday ad. 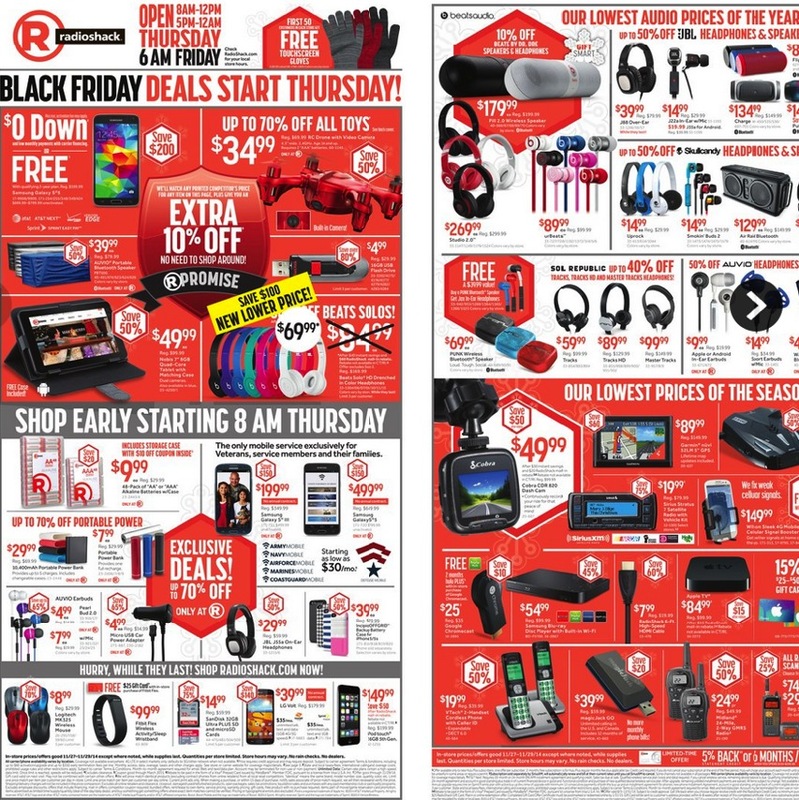 Deals start tonight at 11 pm ET on RadioShack.com. Please check the store locator for your neighborhood RadioShack’s Thanksgiving and Black Friday hours. Looking for tips to save more on Black Friday? Check out five ways you can get the most out of this weekend’s savings. We’re giving away £1,000 worth of our Pimoroni Shop Gift Cards between Black Friday and Cyber Monday! Over the next four days we will post a set of challenges to Twitter. They will be a mixture of creative, coding, and maker knowledge tasks. FREE shipping on all orders over $50 (US only). The staff of Make: has done the shopping for you! 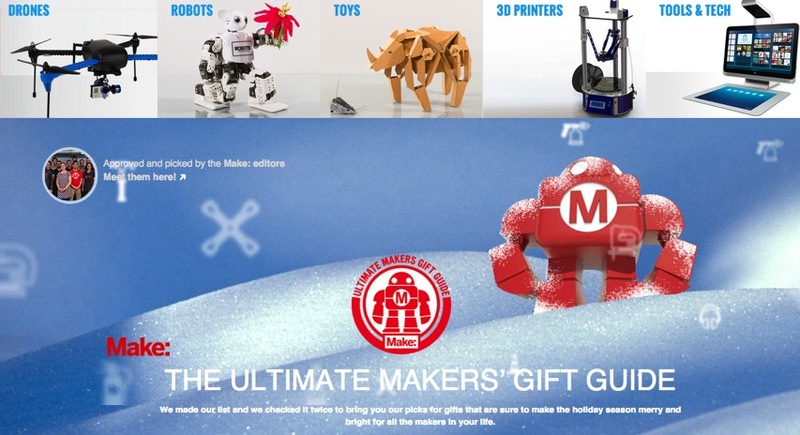 Our gift guides by makers for makers offer a variety of unique gifts for every maker on your list at a range of prices that will fit your budget. Guide guides & sponsored guide. Seeeday comes from word “Seeed Day”. It is Seeedstudio’s special holiday sale, and it is a one day only event that takes place on the second Wednesday of December every year. This year it will be on December 10th. 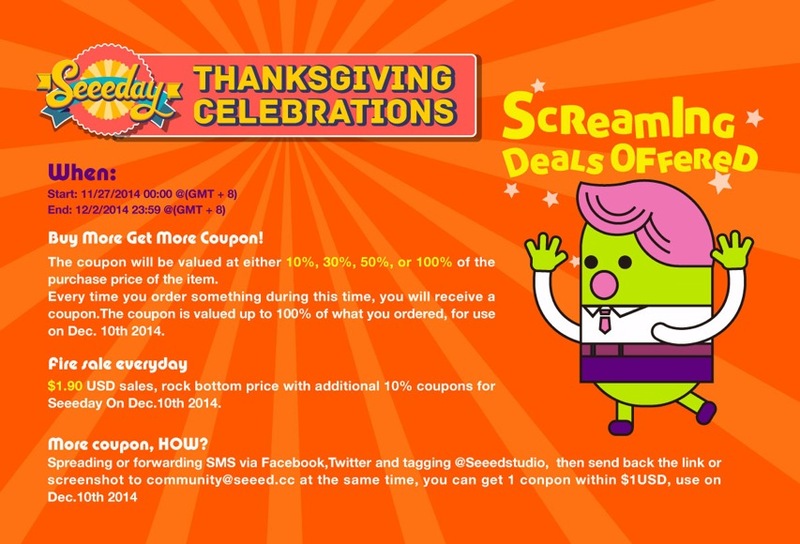 We offer screaming deals on various items on the web site, and it is the only day that coupons earned on purchases made from November 27th to December 2nd can be redeemed. It doesn’t get any better than this, so mark your calendars. 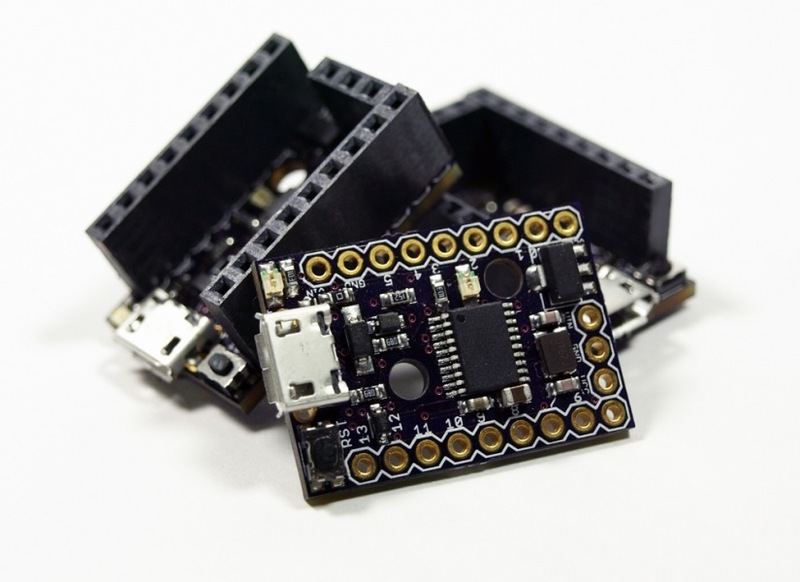 Shapeoko 2 sale starts today! 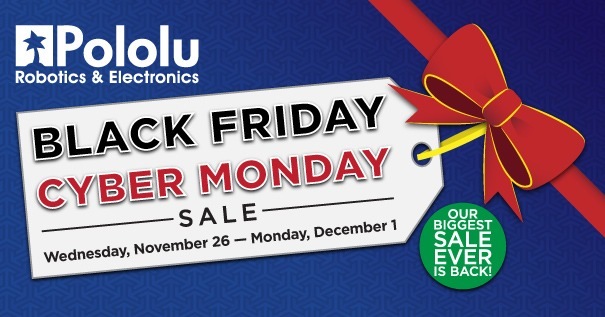 Digistump.com Black Friday thru Cyber Monday Sale! 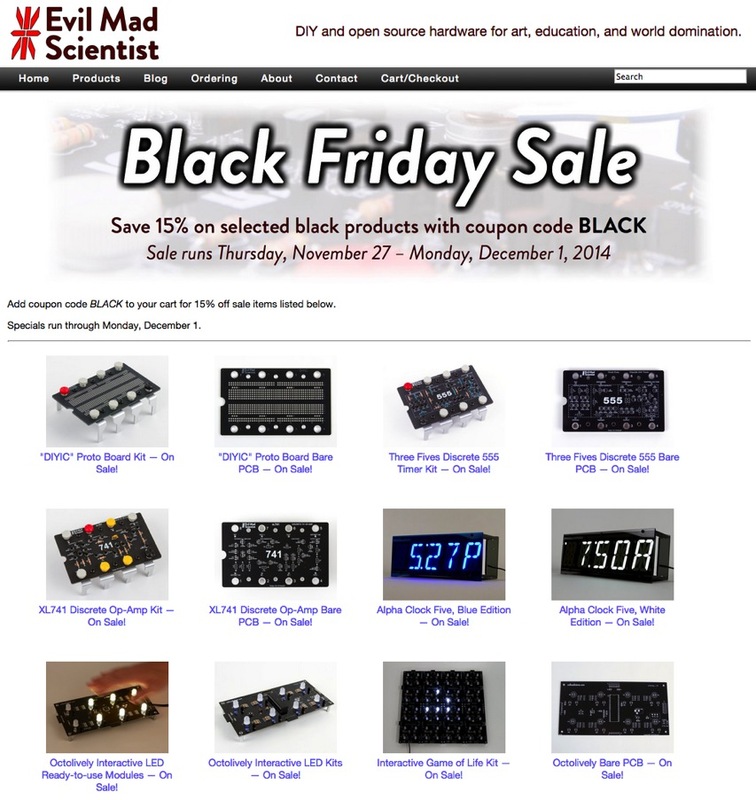 Once again – we are pleased to announce that Digistump.com will be offering some amazing deals for Black Friday thru Cyber Monday – while we can’t compete with the big stores, because we don’t have 2-3x mark-up like they do, we hope these deals will help you buy engaging, educational, electronic gifts for your loved ones, or allow you to get yourself some kits to build while you hide from your relatives during the holiday season. 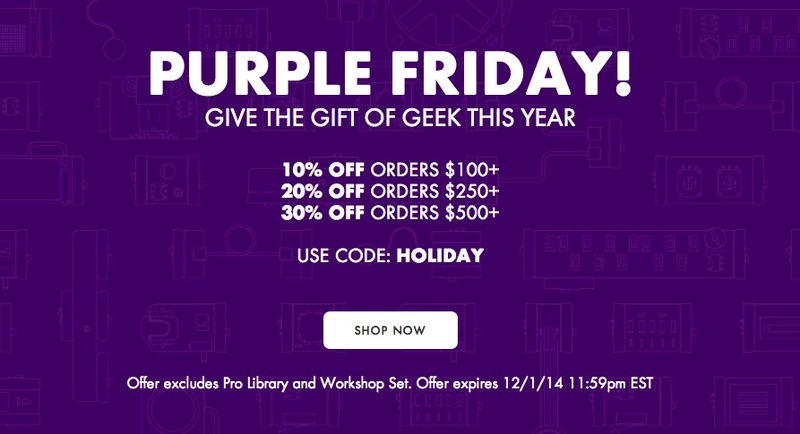 $100 off MakerbBt mini and $200 off MakerBot Rep 2, 5th Gen. 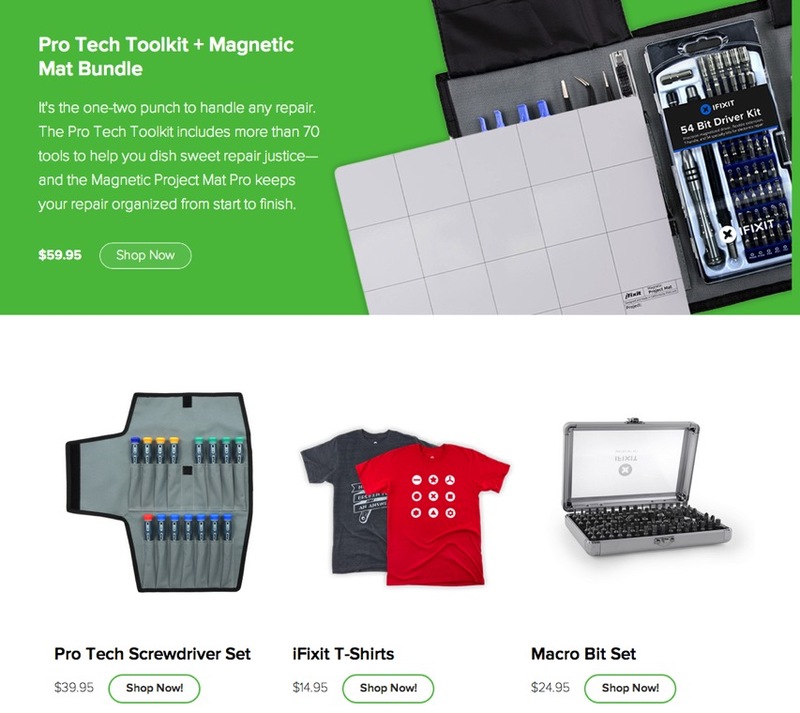 Sales on iFixit tools and more. Our Black Friday/Cyber Monday sale is back, and this one is our biggest yet. We are offering huge discounts on over 600 products, along with 11% to 15% off orders over $100 (the discount goes up as the order total goes up; some sale items excluded). We also have some great limited-quantity doorbusters. The special offers become active Wednesday morning (November 26) at midnight PST (3:00 AM EST/08:00 UTC), and the sale runs through Cyber Monday (December 1), ending at 11:59 PM PST. All of the details, including a full list of sale items and coupon codes, are available on our Black Friday/Cyber Monday sale page! 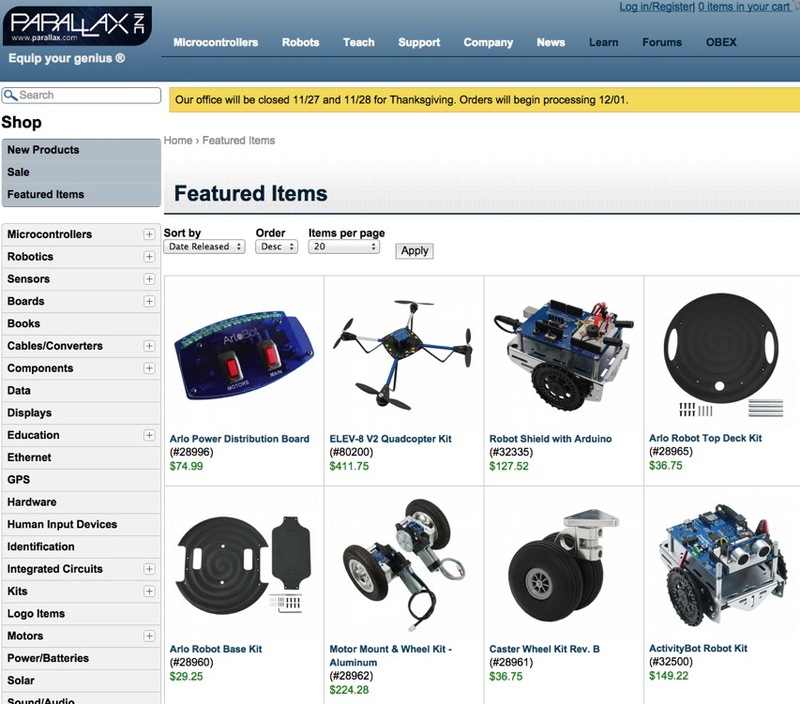 3D Robotics Black Friday sale!